Overall revenue was up 6.3% in North America, 9.1% in the UK, and 8.6% in Asia-Pacific in the third quarter. 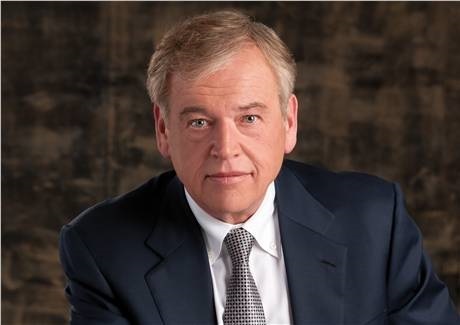 NEW YORK: Omnicom Group’s PR agencies saw an organic revenue decrease of 1.5% in the third quarter to $336.4 million, compared with the prior year. The holding company, which owns and operates FleishmanHillard, Porter Novelli, Ketchum, Marina Maher Communications, and other firms, reported flat organic growth of 0.6% to just over $1 billion in the first nine months of 2015 for its PR agencies. Specialty communications revenue grew 5.4% organically to $255.4 million, while CRM went up 2.8% to $1.2 billion, and advertising jumped 9.9% on an organic basis to $1.9 billion, year-over-year. Ketchum CEO Rob Flaherty said his firm had a strong third quarter and "outpaced that sector number" with solid organic growth. FleishmanHillard CEO Dave Senay said via email that "after a strong first half, when we exceeded plan, the third quarter did not keep pace." In the period, Ketchum expanded work with existing clients and won business from BMW in Russia and Germany. The firm also unveiled two services: Cyber RepProtect, a three-pronged reputation-management approach for cyber-threat protection, and University RepProtect, a suite of services to help universities manage emerging threats on campus. "Porter Novelli continued on a strong growth trajectory in Q3, with exciting wins in our health and wellness, technology, and food and nutrition practices," said the agency’s CEO, Karen van Bergen, via email. "We’ve been pleased to see a promising uptick in our new business pipeline, and continue to experience strong demand for measurement and analytics, digital, and creative." On the whole, Omnicom’s worldwide organic revenue grew 6.1% in Q3, year-over-year, to $3.7 billion, led by 9.1% organic growth in the UK to $388.2 million, 8.6% in Asia-Pacific to $386.8 million, 6.3% in North America to $2.2 billion, and 4.5% in European markets to $579.2 million. Latin American organic revenue dropped 6.9% this period, compared to Q3 2014, to $70.3 million. Operating income was down 5.3% to $428.3 million, while net income dropped 1.8% to $239.3 million. In the first nine months of the year, Omnicom’s total revenue increased 5.5% on an organic basis to nearly $11 billion, with net income dropping 1.6% to $762.3 million. This story was updated on October 20 with comment from Flaherty, Senay, and van Bergen.